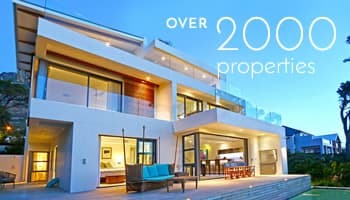 Constantia luxury villas are among the most prestigious you will find in diverse Cape Town. As an older and more refined area, you’ll fit right in at one of these sprawling mountain estates. Further inland, away from the popular beach culture and busy tourists – you’ll find Constantia, an area steeped in Dutch Colonial history, wine farms and impeccable mountain views. Synonymous with villas set on large grounds and gourmet restaurants hidden away on wine estates, this area has just as much to offer as a vacation spent on one of Cape Town’s beaches. If you prefer to get in touch with local wine culture, history and Dutch heritage, renting one of these Constantia holiday homes will make your holiday a memorable one. Constantia is an important neighbourhood just South of the Cape Town CBD, it’s directly behind Hout Bay and is among the most affluent of the Southern suburbs. The area lies at the foot of the Constantiaberg Mountains and is world famous for its wine estates and wines. Heavily influenced by Dutch colonial architecture, Constantia holiday homes can be quaint and cosy or impressive with an air of grandeur about them. Because of the open farmlands of Groot Constantia, many villas are set on the most beautiful manicured grounds you have ever seen. Best of all, it’s a 10 minute drive to the Kirstenbosch botanical gardens – a must-see! Why Choose To Stay in Constantia? 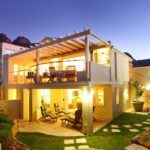 The area is also 15 minutes away from the Table Mountain cable way, Cape Town Central and other popular areas like Camps Bay and the range of beaches there. Where else in the world could you holiday, spend a day at the beach, hang out on a roof top bar in the city and then finish off the day with a wine tour close to the Constantia holiday homes you’ve rented? Because of its proximity, this area attracts holidaymakers that prefer country and farm-style vacations, but don’t want to limit themselves to being stuck in a completely rural area. Here you get rural beauty, urban fun and beach relaxation all in one. Constantia villas: Timeless beauty and extreme luxury describe some of the magnificent villas that you can rent in this neighbourhood. Constantia apartments: Large, designer apartments surrounded by wine farms are great for weekend trips or wine-focused holidays with friends. Search through our Constantia holiday homes and find a place to stay in Groot Constantia, Constantia Uitsig, Steenberg and Buitenverwachting this vacation season.